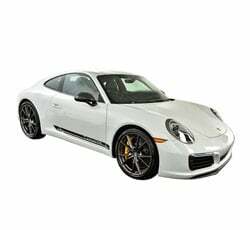 The 2019 Porsche 911 is a luxury sports car that comes in the form of a two-door coupe or convertible. The engine is rear mounted, while the storage compartment is in the front. The 911 is a cult classic due to its amazing performance and sporty, good looks. This is a smaller coupe that handles like a dream. If you want performance and something fun to drive, it doesn't get much better than this. 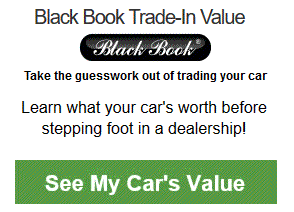 There are trim levels built specifically with the racetrack in mind. Still, the 911 also manages to be a surprisingly practical car for daily driving. The Porsche 911 is a design that's been popular since the 1960s. The looks remain largely unchanged from last year's version. For 2019, there are even more models and trim packages than ever before. Performance from the base engine gets an upgrade this year. By default, this means all versions outperform their 2018 counterparts. It still drives like a 911, but now, it's better than ever. The 2019 Porsche 911 comes in a wide array of models. You have your choice of engines from a 3.0L H-6 to the 4.0L H-6 Engine. The base engine produces 370 hp with 331 lb-ft of torque. The 4.0 cranks out a whopping 520 hp with 346 lb-ft of torque. That's a massive amount of power for a small, lightweight car. If that's still not enough, you can select the Turbo S model. This trim comes equipped with a 3.8L H-6 turbo that produces 580 hp with 516 lb-ft of torque. AWD and all of that torque leads to unbelievable acceleration. You can get from 0-60 mph in just around 4 seconds. Even on the base model, you get flawless steering, perfect handling and firm braking with impressive stopping power. The suspension system is fine tuned for performance. Steering is tight and accurate. AWD on some models makes the car hug the road even around sharp curves at higher speeds. Performance and handling gets even better when you move up the ladder to the next trim level. At the top end, you have models that can rival anything on a racetrack. This is one fun car to drive. The 2019 Porsche 911 has an unmistakable look. It's one of the most iconic sports cars in automobile history. It's not always the best idea to choose a car based on looks, but the 911 has a proven track record in every category that counts. The sharp looks are just icing on the cake. There's a level of fine craftsmanship inside of the Porsche 911 that has to be experienced to truly be appreciated. Every material used is of the highest quality. Everything from the stitching on the upholstery to the center console is beautifully designed and flawlessly constructed. Best of all, there are a ton of options and choices. You can customize the interior to your heart's content. The inside of this sports car is just as beautiful as the exterior. The 2019 Porsche 911 may be a high-performance sports car, but it also makes a nice daily driver. The small size and maneuverability make it an ideal car for city driving. It's never too hard to parallel park the 911. Unlike a lot of sports cars, it provides a great, comfortable ride quality. The luxury interior is something you won't mind spending time in. It won't cost you very much at the pumps either. Speaking of fuel economy, the Porsche 911 is impressive for a sports car. The base model gets a combined rating of 25 mpg. That's 22 mpg in the city and 30 mpg on the highway. Even the thirstier 4.0 liter fares well in this category with a combined fuel-economy rating of 17 mpg. No matter what engine you choose, you get amazing performance with better fuel economy than comparable sports cars. The 2019 Porsche 911 comes equipped with a nice sound system and infotainment center. There are eight speakers that provide an amazing bass response. You can upgrade this to a twelve-speaker system from Bose if you choose. A navigation system is on tap to keep you headed in the right direction. Apple CarPlay connectivity is standard. Android users can also connect their phones via Bluetooth or USB. Voice control and a large touchscreen round out some of the more important features here. The Porsche 911 has an excellent reputation for being a dependable vehicle. These cars are built with world-class engineering and the utmost care. According to J.D. Power and Associates, the Porsche 911 has one of the best reliability ratings in its class. The 2019 Porsche 911 is filled with modern, high-tech safety features. Porsche Active Safe keeps an eye on what's in front of you. This system will even employ emergency braking to prevent a collision if it needs to. Porsche Car Connect automatically contacts emergency services if you do get into an accident. You also get blind-spot monitoring, lane-change assist and a rear-view camera. The sheer number of trims, models and options may be intimidating at first. You can get a Porsche 911 that's built for whatever you want it to be. If you want a daily driver with excellent fuel economy, you can have it. If you want a car to race, there are several options. The 911 comes as a coupe or a convertible. Even the convertible has two options. You can select a hardtop or a soft top. There are 13 models in all, from the base Carrera on up to the GT3 RS. The 2019 Porsche 911 is a small car. If you love Porsches, this won't be a surprise, and you probably won't care too much. Still, it's something to be aware of. Small means it's easy to zip around town in and easy to park and maneuver. The size may just not be for everyone. The diminutive size means you won't be able to haul around much of anything. Even grocery shopping can be difficult as you can only get a couple of bags in the front trunk area. The rear seats are only suitable for kids. Adults won't want to be back there for prolonged periods of time. This isn't unique to the Porsche 911. It's something you'll deal with on many sports cars. If you have a lot of people to haul around, this may not be your best option unless it's a second car. The 2019 Porsche 911 doesn't come cheap. With the style, quality and performance, no one should really expect it to be. This is a performance, luxury vehicle after all. There are cheaper options that will still allow you to have some thrills while driving. The cost here may be prohibitive for some. If you have the dough, however, few things compare to the fun of driving a 911. The Porsche 911 is practically in a class of its own. It almost feels unfair to compare it to other vehicles. Its toughest competition comes from other luxury sports cars such as the BMW M2, Lexus LC and the Jaguar F-Type. The BMW M2 is a striking car with a luxurious and comfortable interior. The 911 beats it out in fuel economy and overall performance. The Porsche produces more horsepower and simply has much better handling. The Lexus LC offers a V-8 with more horsepower than the Porsche 911. This may make it more interesting for anyone looking for a higher top speed. Acceleration, however, is pretty comparable between the two vehicles. The Lexus may be a bit more comfortable in the back seats. The Porsche has better handling and slightly better fuel economy. The Jaguar F-Type has a lower base price than the 911. It also has comparable levels of comfort, luxury and ride quality. It's fast too, but falls just short of the capabilities of the GT3 RS and GT2 RS models of the Porsche 911. The F-Type is an attractive car, but it's no match for the classic 911 body shape. When it comes to maneuvering and handling, it's really hard to beat the Porsche 911. The 2019 Porsche 911 is simply a fantastic sports car. Its performance is hard to beat. The acceleration, steering and handling are out of this world. It's a blast to drive this Porsche whether you're driving to work or on a racetrack. You can definitely race this beast if you want to. Porsche has created trim levels just for that purpose. 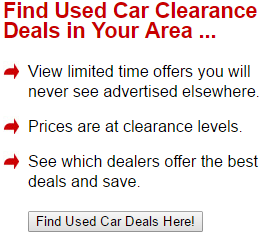 It's still a viable choice for a daily driver too, with excellent fuel economy and reliability. The stylish exterior is a classic that is sure to turn heads wherever you go. If you want to be the envy of your neighbors, this is a fun way to do it. • Why Buy a 2019 Porsche 911? • Why Buy a 2019 Porsche Cayenne? • Why Buy a 2019 Porsche Macan? • Why Buy a 2019 Porsche Panamera?